Using personalized address labels is an ideal way to provide a finishing touch to your mailings and to convey your firm's own unique personality. They are a great way to identify your brand and promote your law firm. 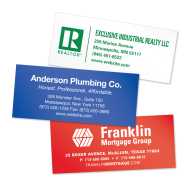 Using business address labels is not just a way to save you time and effort. Customized advertising labels have the potential to represent your law firm and act as a powerful advertising tool. They brand your packaging and create a recognizable image that links back to your company. 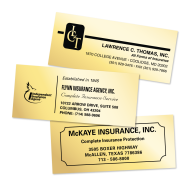 The cost of purchasing business address labels is so low that they need to be in the future plans for any law firm.